I have said before one of the best surprises you can find on a charcuterie board is honeycomb. Honeycomb pairs perfectly with cheeses and compliments meats and fruits as well. But alas, good honeycomb is not easy to find. But all is solved, now that I have found the Pure Raw Honeycomb from the fine folks at Bear Hug Honey. 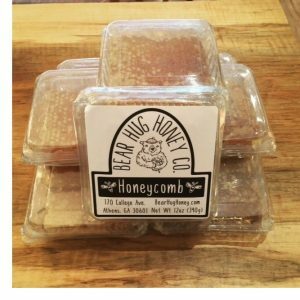 Find the Pure Honeycomb from Bear Hug Honey here. See all the fine honeys and related products from Bear Hug Honey here. Lost Cowboy is powered by	WordPress 5.0.4 and delivered to you in 1.884 seconds using 43 queries.